Filous, A. R. and Silver, J. (2016). Neurite outgrowth assay. Bio-protocol 6(1): e1694. Lang, B. T., Wang, J., Filous, A. R., Au, N. P., Ma, C. H. and Shen, Y. (2014). 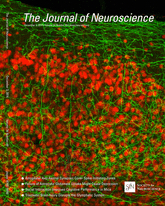 Pleiotropic molecules in axon regeneration and neuroinflammation. Exp Neurol 258: 17-23. Cregg, J. M., DePaul, M. A., Filous, A. R., Lang, B. T., Tran, A. and Silver, J. (2014). Functional regeneration beyond the glial scar. Exp Neurol 253: 197-207.